Homecoming 2019 will feature a clash between the Crimson Tide and the Arkansas Razorbacks on Oct. 26! Save the dates of Oct. 20 – 26 as the official week of festivities to include many signature events. Registration for homecoming events and participation will open soon. You can look forward to seeing our signature events again such as the Roll Tide Run, the Choreography Competition, NPHC Step Show, Day of Service, our annual Homecoming Parade, and more! This year’s 2018 Homecoming theme is “Excellence Lights The Crimson Flame”. 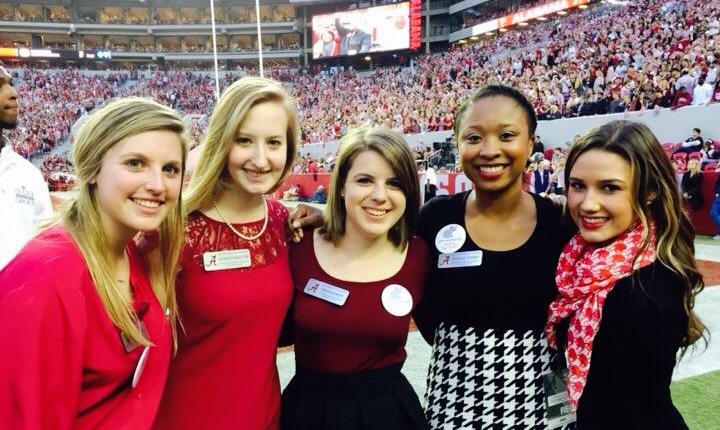 As “The Capstone” of higher education in the State of Alabama, we see homecoming as a time for friends, fan, alumni, and the like to come together to celebrate the legacy and spirit of excellence found at UA. Whether we are excelling at sports, academics, or more, UA is a place that embraces the family and community we have built. And we know that UA is a place of excellence and a “bright” beacon of support to all who love it. Join us Oct. 7-13 for Homecoming 2018 festivities! During halftime of the Homecoming game, the SGA Homecoming Committee will award the Spirit Cup to the student group that receives the most points during Homecoming for the Crimson division. 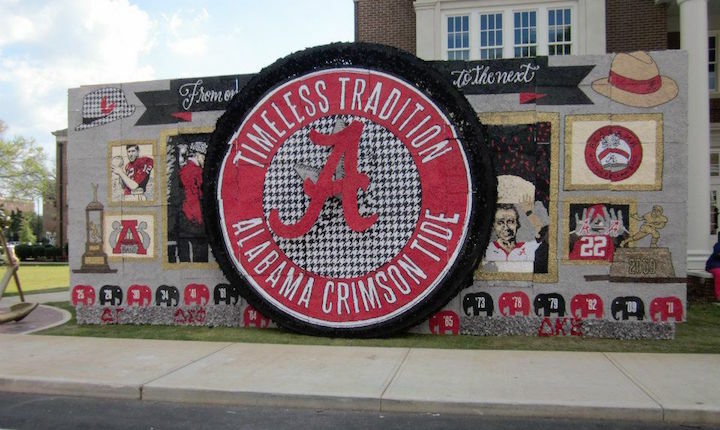 The Committee will also honor teams of students who exemplify the spirit of Homecoming while participating in individual events throughout the week through our Tide division. Homecoming is an opportunity for current students and our community to be involved in a variety of festivities. Our 2018 Homecoming Executive Committee will coordinate two Homecoming Competition Divisions to enable students to participate in traditional Homecoming activities. Community members are also encouraged to participate in events and programs either representing a business or as spectators at several of our signature events.